LG OLED TV earned higher scores on the opinion of the American consumer LG oled tv review. 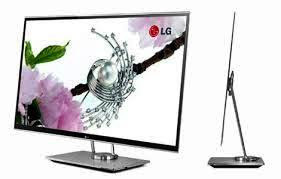 OLED TV organic light emitting diode TV from LG Electronics Inc. has received the best response of a review of US consumer magazine, industry sources said on Monday. At the recent Consumer Reports review of the LG 55-inch OLED TV, called the 55EG9100 has received the highest rating among other competing models respondents in the 55 to 59-inch TV models. Another extremely LG OLED TV called the 55EG9600, did the same in winning the hearts of US people. The third and fourth places were taken by Ultra HD TV models of Samsung Electronics Co. they said. As with the larger models of 60-inch, LG Electronics 65-inch Ultra OLED TV, called the 65EF9500 and Samsung Electronics of SUHD television, 65JS9500 are co-winners . South Korean players took the top spots in the six segments.